Like hairstyles and clothing, some sports experience periods of trendiness, fuelled by our changing curiosities and interests. Gone are the days of stock-standard, gender-specific sporting pursuits; instead, each year brings a new range of undiscovered and unheard of sports to the table. Here are 5 of the sports that will take 2014 by storm. Skateboarding is a timeless sport – whether the goal is grinding in some of the world’s biggest parks, or simply cruising from A to B. The boards themselves have evolved from wood planks atop clay wheels to state-of-the-art designs, fuelled by innovative companies like Z-Flex Online who design boards for the smoothest ride. Skateboarding is no longer seen as simply a mode of transport used by youths – celebrities like Tony Hawk and snowboarder Shaun White have actively pushed for skateboarding to be included in the next Olympic Games. With strong support for the cause, don’t be surprised if you see skateboarding on the bill for the next summer Olympics. Skateboarding appears as fresh-faced as some young women and men riding boards to school, the market, or local skate parks. What’s surprising to some, despite its popularity and association to exercise, is skateboarding’s age! The sport has been around since the 1960s. 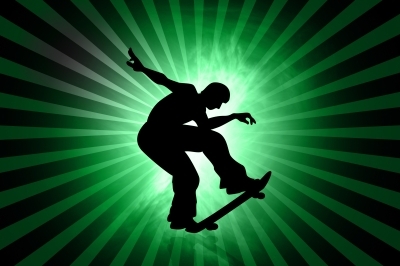 Skateboarding, like those who mature, gain experience, and evolve, has transformed; the moves, direction, and riders look different today as compared to skateboarding’s beginnings. It’s difficult for skate historians to attribute one event, invention, or person to the beginning of skateboarding; it seems multiple stories place the advent of skating around the same time. At some point, surfers, looking to replicate the experience on land (especially when waves were minimal), fused roller skates to a flat board, emulating the skating experience but with two (free) feet on one board. Like surfing, the ‘new’ way of riding was considered alternative and ridiculous by most, yet a select few, enjoying the sensation of paving streets in style and speed, continued the practice. Despite athleticism of riders, the clay wheels, getting caught in cracks and sidewalks, often pitched riders off boards. If smooth riding was an end goal, improvement was needed.